Fuel cells are capable of becoming a clean and efficient way to run computers, cars and power stations, but the cost of developing them is restricting their use. This is because a major component of the most common fuel cells is a catalyst produced from the precious metal platinum. In a paper featured in the 22/01/18 issue of Small, researchers at the University of California, Riverside, explain the development of an efficient, inexpensive catalyst material for a type of fuel cell known as a polymer electrolyte membrane fuel cell (PEMFC). 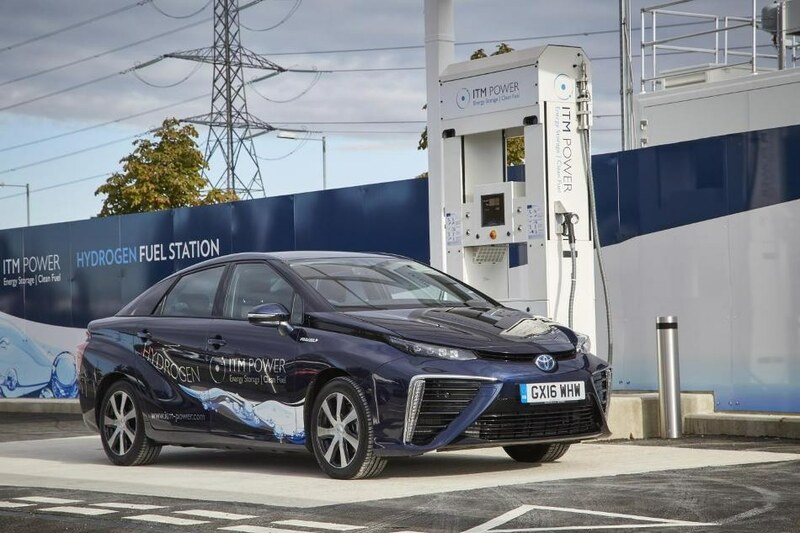 This fuel cell converts the chemical energy of hydrogen into electricity and is considered to be among the most promising types of fuel cell to power electronics and cars. The catalyst (produced at UCR) is developed from porous carbon nanofibers, embedded with a compound created from a comparatively abundant metal such as cobalt, which is over 100 times cheaper when compared to platinum. The research was headed by David Kisailus, the Winston Chung Endowed Professor in Energy Innovation at UCR’s Marlan and Rosemary Bourns College of Engineering. Fuel cells, already being used by a few car manufacturers, offer benefits over standard combustion technologies, including: quieter operation, higher efficiency and lower emissions. Only water is emitted by hydrogen fuel cells. Fuel cells, like batteries, are electrochemical devices that comprise of a negative and positive electrode either side of an electrolyte. When hydrogen fuel is injected onto the anode, a catalyst splits the hydrogen molecules into negatively charged particles known as electrons and positively charged particles known as protons. The electrons are directed via an external circuit, where they perform useful work (such as powering an electric motor) prior to rejoining the positively charged hydrogen ions and oxygen to produce water. A serious barrier to fuel cell adoption is the cost of platinum, making the production of alternative catalyst materials a major driver for their mass implementation. Using a technique known as electrospinning, the UCR researchers succeeded in making paper-thin sheets of carbon nanofibers comprising of metal ions; either cobalt, nickel or iron. Upon heating, the ions produced ultrafine metal nanoparticles that catalyzed the conversion of carbon into a high-performance graphitic carbon. Consequently, the residual non-graphitic carbon and metal nanoparticles were oxidized, resulting in a greatly porous and useful network of metal oxide nanoparticles spread in a porous network of graphite. Kisailus and his team, partnered with scientists at Stanford University, established that the new materials functioned as good as the industry standard platinum-carbon systems, but at a fraction of the cost. The key to the high performance of the materials we created is the combination of the chemistry and fiber processing conditions. The remarkable electrochemical properties were primarily attributed to the synergistic effects obtained from the engineering of the metal oxide with exposed active sites and the 3D hierarchical porous graphitic structure. Kisailus stated that an added advantage of the catalytic nanocomposite was that the graphitic fiber nature offered extra durability and strength, which would allow it to function as both a fuel cell catalyst and theoretically as a structural component. An important challenge in making high-performance vehicles is reducing weight, both from the body of the vehicle as well as extra weight from the battery or fuel cell, without affecting safety or performance. The material we created may enable automakers to turn structural components, such as the hood or the chassis, into functional elements that help power cars. The title of the paper is “Electrocatalytic N-Doped Graphitic Nanofiber – Metal/Metal Oxide Nanoparticle Composites.” The key authors are Hongjie Tang, a post-doctoral student in Kisailus’ lab at UCR, and Wei Chen from Stanford University. Jiangyan Wang from Stanford University, as well as Thomas Dugger and Luz Cruz from UCR are the other contributors.